Please sign up below to automatically receive an email when this title is available. 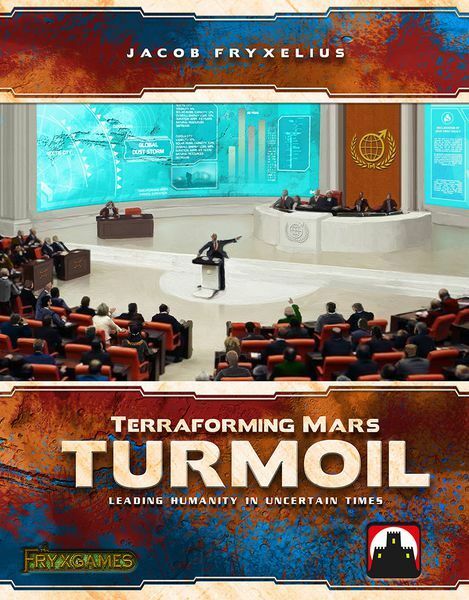 Turmoil, the fifth expansion to Terraforming Mars, takes players back to Mars, and the struggle for control and progress of human society on a big and dangerous planet. The expansion includes new corporations, new projects, and a new type of cards: The Global Events - from dust storms to riots to raising alloy demand, that gives you something to plan for.